LA PAZ, BOLIVIA (19/JUN/2013.) 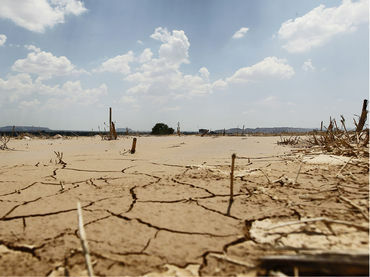 - The Bolivian government has declared today a national emergency due to the drought in four of the nine states of Bolivia, where nearly 17 000 families have been left homeless, informed Ruben Saavedra of the Ministry of Defense,. Drought affected twelve municipalities in the regions of Chuquisaca, Tarija, Santa Cruz and Cochabamba, with slightly more than 86 000 hectares and almost 49 000 heads of cattle, the senior official explained. One of the most affected areas is the Chaco, which forms part of the territories Tarija, Santa Cruz and Chuquisaca. The cabinet and the President Evo Morales today have been evaluating the data to declare an emergency state has been requested by the National Council for Disaster Reduction and Emergency. The regional and municipal governments can reallocate funds to meet emergencies caused by drought and the Ministry of Economy and Finance will grant additional funds. The Vice Ministry of Civil Defense have a budget of 2.6 million dollars to alleviate the need for drinking water for the victims and livestock in the affected areas, according to the minister.